Casein is a natural milk protein that promotes relaxation to aid calmness in young milk-fed animals, such as foals. It has beneficial effects on both adult and young horses undergoing stressful situations. Magnesium is an essential nutrient with many roles including regulation of the nervous system. Low magnesium levels may be caused by a lack in grazing or be due to a horse’s metabolism. Keep Kalm is highly bioavailable for fast absorption and rapid effect. UNIQUE BLEND OF CASEIN - Natural milk protein that promotes relaxation to aid calmness. It may also aid learning when fed in conjunction with appropriate training. CHELATED MAGNESIUM - Supports calmness and nervous system function. FAST ACTING - Results visible from 5 days. Key ingredients: Casein and Chelated Magnesium. 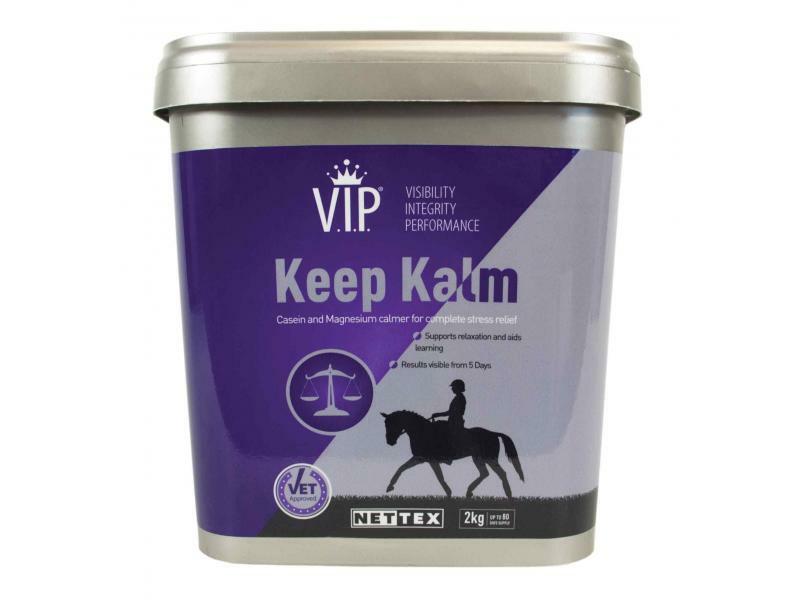 There are currently no questions for Nettex VIP Keep Kalm - be the first to ask one!